There is a growing number of people who are conducting business over the internet these days. People may be hesitant about meeting individuals at certain times, locations, or even providing someone with their home or work address. 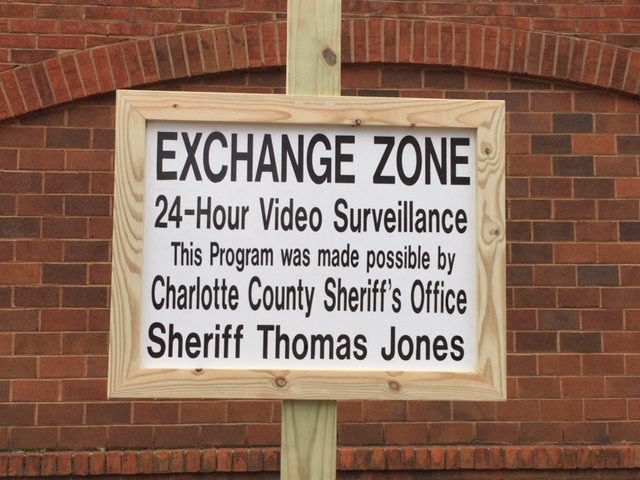 Sheriff Thomas D. Jones is happy to announce that the Sheriff’s Office now has an exchange zone at the Charlotte County Sheriff’s Office. With this exchange zone there is security for citizens while they are conducting their business. The exchange zone is located in front the Sheriff’s Office. It is a very accessible and public location, as well as having 24 hour surveillance. For any additional information feel free to contact the Sheriff’s Office at 434-542-5141.